ready for shipment: in ca. 5 days Beer Forst Premium 3 x 330 ml. Venison raw ham Steiner approx. 300 gr. Producing a distinct lover's product leg parts of the local deer, the venison raw ham a popular delicacy shows for gourmets. Saltedly, smoked and matured develops at deep temperatures an incomparable aroma. Polenta with Porcini Mushrooms 300 gr. - Casale Paradiso 4,75 EUR / 11,88 €/kg. Countryman's Polenta 300 gr. - Casale Paradiso 4,75 EUR / 11,88 €/kg. Polenta with Porcini 400 gr. 7,00 EUR / 17,50 €/kg. Polenta with chanterelles 400 gr. 7,00 EUR / 17,50 €/kg. Polenta with bacon 400 gr. 7,00 EUR / 17,50 €/kg. Polenta with Truffles 300 gr. - Casale Paradiso 6,50 EUR / 16,25 €/kg. White Polenta 300 gr. - Casale Paradiso 3,55 EUR / 8,88 €/kg. Polenta with wild boar 400 gr. 8,45 EUR / 21,13 €/kg. 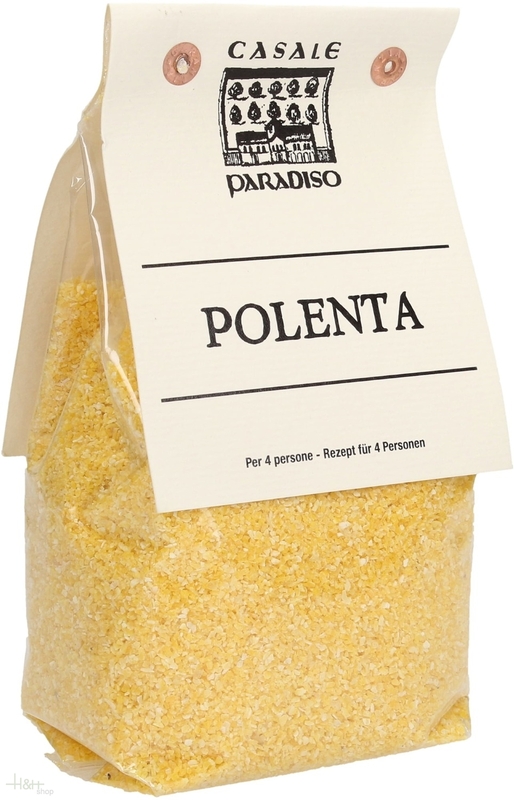 Polenta 300 gr. - Casale Paradiso 2,55 EUR / 0,85 €/100 gr. White Polenta with Chestnuts 300 gr. - Casale Paradiso 5,50 EUR / 13,75 €/kg. Polenta with roe deer 400 gr. 8,45 EUR / 21,13 €/kg. White Polenta with Porcini Mushrooms 300 gr. - Casale Paradiso 5,55 EUR / 18,50 €/kg.